Glass-fused-to-steel tanks comply with ANSI/NSF 61 for use as potable water tanks. Its hard, inert, hygienic surfaces make it simple to clean and disinfect in either storage or process tanks. 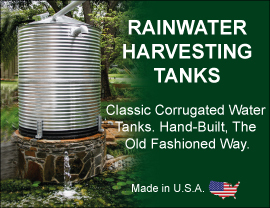 Applications include: Potable Water Storage, Flocculation Tanks, Clarifiers, Filter Tanks, Sludge Storage Tanks, and Contact Tanks. Because Glass-fused-to-steel is a molecular bonding process, no coating will ever flake, peel or chip into your stored water and routine maintenance is greatly reduced. Glass-fused-to steel products offer years of maintenance free use and typically have a lower project life cost than less sophisticated construction methods commonly employed in the past.